1. If you host a “Q-Node”, a node that supports the Q protocol (layer) you can earn rewards in these manners: Offering PoW (mining rigs, computer, or your coffee pot), PoS (your IOTA’s that you hold), your bandwidth that you don’t use (probably something to do with LIFI in the future, so this could be your router and lightbulbs in your house), and simply, the previous history of running an honest node for the system. All of the above can be used to pass the “resource test phase”. All of those resources: PoW, PoS, Po(Bandwidth), and Po(Honesty) are measured and quantified. Your resources than essentially set you in an equivalent resource pool ie: in a pool with other people of similar resource power. 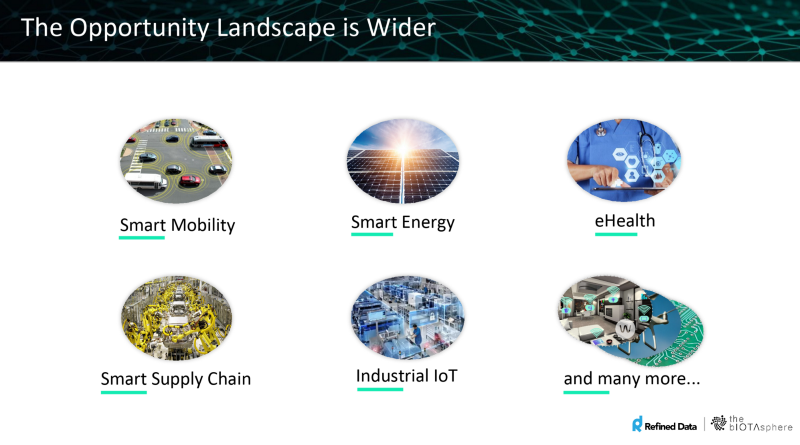 You then earn IOTA’s from people using the Oracle system, smart contract, or simply who want computational power (which is absolutely needed to be able to outsource the IoT industry which is for sure the future. PoS, PoW, PoBandwidth, and PoHonesty. More so, if you have Asic’s, you are in the Asic’s pool, GPU’s, you’re in the GPU pool, old crappy computer (you’re in the old crappy computer pool), you stake a lot of IOTA, you’re in the high-stake IOTA pool… etc. This is the process of “proving” your resources to the network. People will purchase “resources” using the Qubic protocol. If they want quality, fast, or extreme computational power they have to pay. Remember, you the user set what you want to receive in IOTA for your resources (economic principles). If you spend $1200 a month on electricity and equipment, you will only charge more than $1200 a month for your resources, no one would charge less. So, in your pool, everyone will eventually come to a quorum charging a set amount, and thus the economy (the users) will pay for it. So, in essence, the better the pool, the more the reward you get (based on economic principals in society (just like blockchain). I don’t fully understand the exact quantitative measure of what equates to the reward (such as with hash power in blockchain), though it seems that once you prove your resources your machine performs the calculations that are being bought on the Qubic network. However, if your coffee pot has a jinn chip that is Ternary hardware, with Ternary programming (ABRA), then it can sell its resources when it’s not making coffee ie: proving its resources and then completing computations for buyers. This is just speculative and the ABRA ternary language will be able to interface with binary and lower the energy consumption but a significant amount. When combining ABRA with a ternary chip such as Jinn, the energy efficiency is even more! One of the major bottle necks or challenges that prevents advancement in technology is the amount of battery storage within machines. If we can’t redesign a battery to store more power, at least we can redesign the energy consumption within machine devices. Also, your autonomous car not only can offer up its PoW, it can also stake the IOTA’s it is not using in its wallet the bandwidth when it isn’t working or driving, and the experience / honesty factor (by proving its resources and then selling its computational power) as it “may” be able to be a node in itself. In addition the left-over electricity it has from charging up through solar or wind power, it can sell through the smart-grid to neighbors or local businesses. Your car has “multiple” resources and the Qubic network allows machines to offer “all” of their resources to their owner, not just one or two as with blockchain. Qubics revolutionizes machinery by allowing it; the machinery, to sell its resources. This is another building block to the ultimate vision of a machine acting in a “machine economy”. Rather than us setting this up, and the fees we want to charge, eventually we can create smart contracts with Qubic functions which then allows machines to negotiate and earn “themselves”, the machines will sell and buy resources “THEMSELVES”, truly creating a machine economy, “AND” if you own the machine, you earn the rewards (ie: income, passive income). The Qubic protocol, where all this is happening. Miners earning, people staking their IOTA and earning (ie: “interest” or “passive income”) because they are HODLER’s (and by proving their resources they sell their computational power), Forex financial companies using Qubics for quorum “ORACLE” data, smart-contracts being run on the protocol, scientist using computational power for medical research, VW, Fujitsu, and Bosch using computational power for their IoT devices, etc. on and on. All those use cases, to power…. TO POWER, to run the network, all those functions will be conducted with zero fee transactions that take place on the Tangle with real-time smart-contract micro-payments. The whole system runs on data transactions (zero fee transactions) by sending MetaData within the transaction sent on the Tangle. MetaData essentially (I’m not a techie) is like the language that tells the Q-Nodes to wake up, to process data, pay, earn, and receive, and essentially run the whole Q network. So…. that is a SHITLOAD of transactions occurring!!!!!! At the present day, the amount of transactions right now occurring from Trinity, speculation, and trading, is like a drop in the ocean compared to how many transactions the Qubic network will produce. It’s not hard to understand, the Qubic network will run millions if not billions of transactions per day over the Tangle, and remember, “each transaction confirms two transactions”. So…. what does that mean. More transactions mean a faster Tangle, a more secure Tangle, an infinitely scalable Tangle…. and most importantly…. WE CAN TAKE THE COO (Coordinator) OFFLINE!!! Note: there may be use cases for multiple COO’s (coordinators) or private COO’s but that is a whole other arena and I simply state this because I read someone writing such an example that went right over my head. The point is: Q is needed to remove the COO! So, as everyone says, “Why don’t the dev’s focus working on removing the COO, (“wen remove COO”), you can see that THEY ARE working on it!”. The Qubic network will support the network because it incentives people to host nodes and earn IOTA! Also, if no one uses the Qubic network then it doesn’t work right?!? So, making “Corporate Partners”, and United Nations (NGO) affiliates, partnership with banks, all of this is needed to support the Qubic Network. – You need Oracles (Oracles power smart-contracts which is the whole shabang! It will change society and change global finance). – You need the Qubic Network (Connects users of the network with resource providers of the network, enables a machine economy, and provides computational power and the most advanced smart-contracts to society). – Users of the network (We need a community (that the IOTA Foundation builds from hosting AMA’s, takes the time to talk to the community on Discord, and provides transparency so we all can go along on their journey of completing their vision), we need global partners such as Bosch, VW, Fujitsu, etc., We need governments and societies such as Taiwan, Denmark, and maybe Sweden; and we need banking like DnB, and electrical companies like Elaad. We need the global integration to actually “use” the Qubic network for it to work (demand drives economic principals, which ultimately will pay the Q-Node providers, which will drive transactions thus scaling the network). – Lastly, you need to remove the COO and let the network grow organically. (This can only be done when the previous steps have been completed). So removing the COO is one of the last steps. After removing COO the network can just grow organically on its own without much support or help from the dev’s. They can then work on building applications that work on top of the Qubic network. This is a large challenging undertaking that is being built step-by-step, each piece is part of a large puzzle that all comes together. As for the Qubic vision, which is what was just released, is a really large damn piece of that puzzle!!! It just goes to show, that all of this adds up to removing the COO. Everything the dev’s, and the IF, have been doing are working towards simply that! It’s all one big construct, not different pieces, everything ties together and the Qubic network is a large friggin piece of it all. Their sole mission is to complete the puzzle, the vision, so the COO can be removed, and the Tangle can literally change society through the machine economy. This is just my non-techie understanding at the moment. I have a lot more research and studying to do, but damn I love it! So glad to be allowed within this community and enjoy the journey with the IOTA Foundation. Please clarify if I totally misunderstood anything and looking forward to hear other people’s understanding. Lastly, after writing this I re-read the Qubic website. Difficult to understand, but my rough understanding is that Q-Nodes and Qubics can lie dormant listening to the Tangle. Qubics are event driven so that when one Qubic initiates, another Qubic may need that quorum information to activate, and when the one Qubic gets the result it intended to compute, then the that Qubic itself can activate. So, one Qubic can initiate another Qubic and so on so on like neurons firing, lighting up a portion of the brain, which then fires more neurons. This is all done through secured data streams, the Tangle, and the Q-Nodes, and the Qubic network. In a way, it’s a global living system with the data stream as its life-blood, the Tangle as it’s bone structure, and the Qubics and Q-Nodes as its neurons. For all we know, in the future, this global mass network can be, and power AI, or maybe it will grow to become one massive AI source that can help society in so many ways. As I stated, I’m a non-techie. I probably haven’t put out a bit of misinformation as I don’t fully understand it all. Really, I just hope to ignite curiosity, so people may be inspired to put a two into the new world of the Machine Economy. As well sometimes it is hard to see the big picture. The IOTA Foundation has been working on “A” vision, a machine-to-machine economy that will change society with the Tangle as a standard protocol, the bone structure of it all. The fact is each new development is another puzzle piece, or a foundation block, that stacks on top of the others. In the end we have the puzzle as a whole, or a great structure built upon a solid foundation. 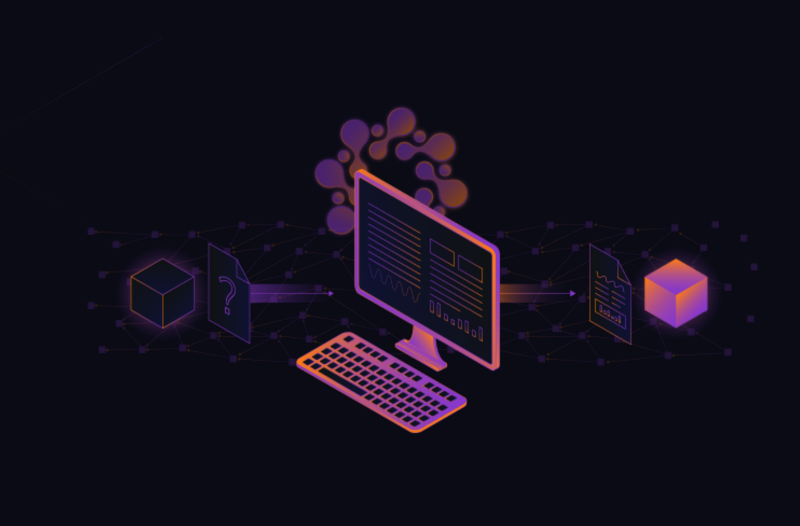 A very good blog post by Limo as an interpretation of Qubic: As promised by the foundation, yesterday was the day the world received access to Qubic details and specifications. Though, they didn’t promise that everyone would be able to understand the scope of Qubic right from the beginning. Considering how many people reacted negatively just a few minutes after the announcement, I’m convinced the majority of investors in the crypto-sphere need time to digest this revolutionary undertaking. If you needed 2 weeks to fully understand what IOTA means for the world, you probably need another 3 weeks to fully grasp what Q can be on top of all of this. Qubic is massive, the essence of disruptive and able to force industries to adjust to the needs of IOTA because it’s in their best interest. Therefore, I don’t expect it to be ready before 2019 considering that Qubic probably inherits the functionalities of several other crypto-projects combined, while it’s running as a layer on IOTA. The comparison to other crypto-projects, the due diligence and speculative consequences are solely up to the reader, so please don’t take my interpretation as investment advice. At this point, with 10 minutes of your time, you should be able to understand it more or less. Since I personally prefer complicated information in a context I already know and understand, I wrote this list of 5 bullet points and what this innovation means in detail. Please keep in mind that the following list is my personal interpretation, no citeable information. Also, these are just the points I find most important about Qubic, but there are certainly more functions. It finally makes sense that IOTA is building JINN ternary processors. Come-from-Beyond managed to find a way to use binary NAND gates with trinary logic. This is certainly not the every day crypto-news and you should pin this onto your wall. As an approved electrician who studied both, electronics and geography, I can tell you that even 10% energy reduction would be a revolution for the industry. But we are talking about a gigantic, unimaginable number of 64%. If you had doubts that IOTA could run in the IoT, this is the number one reason you should be happy instead. If Come-from-Beyond and the engineers of the IOTA Foundation manage to reduce the energy reduction of logical gates and wiring of 64%, they presumably bring the industry into the next evolutionary step in hindsight of Moore’s Law. One of the biggest problems in the semiconductor industry is to reduce the energy consumption. Transistors can be designed smaller and more efficient the less energy they consume. Then more transistors (which usually means more calculations) can be built in one CPU. This development used to follow Moore’s law, until recently. CFB changed this law. This means less wiring, less electricity, less heat, less power, but the same output because of Abra, the trinary logic and JINN. Moore’s Law would no longer be the relevant indicator for transistor-progress. What if Abra, trinary logic and JINN create a landscape where all devices in the IoT are used for increasing the hashrate, in times when they are not used. I have 6 devices in my house that could be used for low level “mining” (ie validating transactions with pow – there is no mining in IOTA). If software would sell just 10% of the computational power of my four devices (which would be 64% more efficient then today) then I could constantly earn money with low efforts -and secure the tangle. Since we are in the era of electrical self-sufficiency, the power for that would be collected on my roof. No running costs would be generated. On the contrary! Of course, the more the merrier, meaning that I expect many people switching over to IOTA as the traditional mining misses one important incentive: meaning. Mining these days is nothing else than a trade of electricity for money. In the future, this incentive should be regulated as it implies the possibility to waste energy we shouldn’t waste, coal power for example. With IOTA and distributed computational power, however, people can set up Qubics and rewards. Example: I need to correlate two big data frames for a science project which would take four days with my laptop: I set up a reward of x IOTA and let miners solve the task if the quorum is reached. The network gains hashrate, I receive the results and the miners are paid x IOTA. Everything is done via smart contracts, Qubics and external computational power. A meaningful task. This is way ahead of all incentives we have in the crypto-sphere so far. Additionally: these incentives can also be bound to other services than mining. Full-nodes, public light-node provision, bandwidth, hard-disk storage, RAM, performing automated snapshots, etc. As a result, the network achieves true distribution and decentralization. In a network, where countless tasks are assigned, executed, transactions are conducted, validated on millions on computers and almost all industries, the network activity will grow to a four digits number of TPS and higher right after the release of Qubic. IOTA has the data marketplace, important features for data integrity, a great incentive to provide computational power and a market that demands solutions. 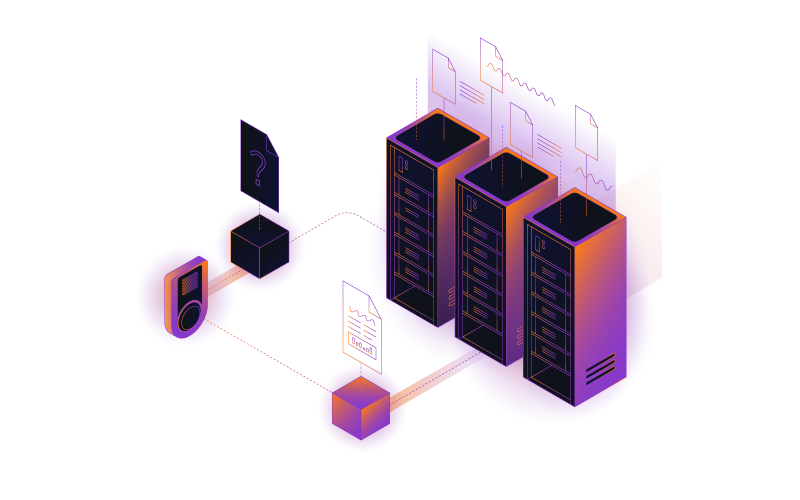 An open source network that offers all solutions and costs nothing to shift value or data is the one perfect layer the industry is waiting for. Since the industry needs software solutions that IOTA is offering, it’s just a matter of time that it begins to rely on it. Presumably, this results in more transactions per second and ultimately a distributed system that is tamper-proof without the coordinator. Qubic is the missing piece of the puzzle to get rid of the coordinator. As mentioned in point 1, Qubic, Abra and the improvements will be so efficient that all problems that have been articulated by critics are suddenly gone. The IoT will be feasible, IOTA will be secure, distributed, 100% permissionless and tamper-proof. We know that different connectivities are a problem when industries need to send information between different devices such as apple and android. Therefore data and connection standards have been created in order to resolve these barriers. But in the IoT are also other barriers. Markets, currencies, assets. The financial world is not a homogenous field where trading assets and the connections in between are easily drawn. This can become a problem because some assets are important and affect almost every industry, but while the effects on the company and price are clear, the options to react accordingly are not, which means that companies could suffer before they could react. Qubic connects all world-markets with the Tangle. This way they create a landscape where trading, markets, services and prices become a global liquid construct that knows no boundaries in terms of functionalities. Example: Your company depends on lumber and oil prices. With Qubic, you can set up a smart contract, that is bound to external prices (via Oracles) in order to adjust the prices of your services which are changed automatically, depending on how expensive your expenses are (for lumber and oil). In the end, the company can ensure that always the best prices for services and goods are offered. They can calculate more efficiently and most importantly, everything works automatically. This mechanism can be brought into every industry, it can change expensive processes, reduce bureaucracy, improve efficiency and disrupt industries to a point where we can speak of an additional industrial revolution. Let’s try to draw a picture of how we live in the 25 years from now. I tried that with my series “Life in the future” part 1 (local economy) and part 2 (mobility) Now, especially in these cases, I emphasize on the ability to gain self sufficiency in terms of finances and electricity, food, water. In a society where sustainable resources are used, independence and the quality of life can be improved vastly. Qubic based systems can improve my idea of the life in the future even further because as part of the sharing economy, people can, next to producing electricity, produce clean water, offer mobility services, 3d printing services, and most importantly finance their life entirely. Everything they need for that could be powered by IOTA. For free. Sending microtransactions, secure data, sell electricity, sell comp. power, adjust your service-prices to external sources, monitor crops, buildings and systems with sensors, sell the sensor data and raise the productivity. The future is efficient, autonomous and self-sufficient. Qubic seems to be the missing piece of the puzzle. I’m looking forward to seeing it in action. Lately it has become apparent that cryptocurrency is going to be a game changer for finance. Those who have done their research, will have realized that there is a Tangle-based protocol called IOTA unlike all others — and it is changing the game for cryptocurrency. Thursday May/03/2018 the IOTA Foundation has given us insights into the mysterious Q that has driven the IOTA community crazy ever since it was mentioned. Until just now, nobody was certain what it was about, yet it was hyped up infinitely while the Foundation kept reassuring the community that the hype hasn’t even come close to what Q really is. Now we know that Q is indeed Qubic (qubic.iota.org). But so far nobody has fully grasped the consequences of this. One thing for sure, Qubic is changing the game for IOTA. Let’s say there is an institution in the US with a capital of $1,000,000. Now their research suggests that the USD is going on a down trend for the next week, hence they want to change their funds to EUR. At the same time, over in Europe, there is a German insitution that wants to do the exact opposite and switch from EUR to USD for the same value. Both instutions buy iota worth 5% = $50,000 of that value (this is their margin balance) and agree to sign a smart contract which locks up both iota funds, so they cannot be moved on the tangle. After three days USD has shown 1% growth compared to EUR and the German institution decides to end the contract (if none of the institutions ends the contract, it will be settled automatically as soon as the losses of one party would have reached the 5% margin balance). In order to do that, the smart contract issues another settlement transaction which transfers the losses of the US institution in iotas to the German one. 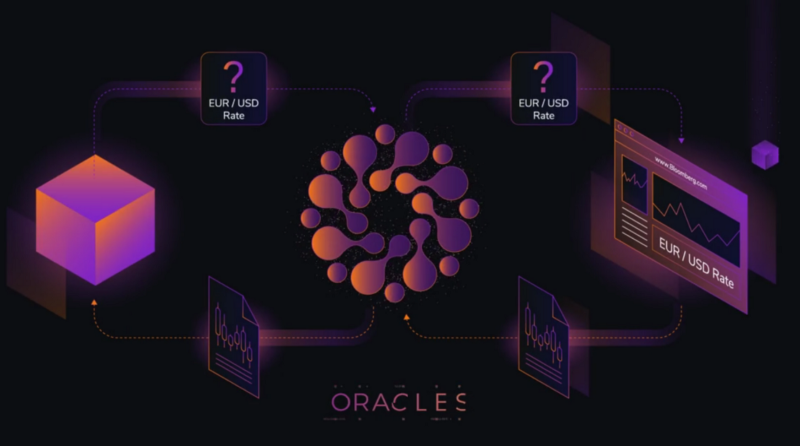 The smart contract is well aware of how much both institutions owe eachother at any moment, because it receives the exact EUR/USD rate through an oracle. This is basically decentralized margin trading without trust and fees. So what makes this a big deal? It would mean that all kinds of assets could be margin traded on the tangle and traders who use IOTA as a trading platform, will have to hold their margin balances in iotas. This is real world adoption of the iota token. Traders would have to buy iotas, not because they speculate on the iota price, but because they NEED it as the underlying value carrier to speculate on entirely different assets. And now let’s take all that a step further. If you can margin trade on the IOTA protocol, you can also make contracts on IOTA/USD and other IOTA/FIAT rates. And that is the groundwork for allowing you to hold a fiat coupled cryptocurrency: your funds will be stored safely on the Tangle with all the advantages it offers (feeless, instant and scalable transactions) while you can hold your value tied to fiat money. Basically you open an option with another party through a smart contract guaranteeing you that you can convert your “virtual fiat” back to iotas of the exact same fiat value at any point in time, ultimately outsourcing the volatility. If your car has a wallet and you put in $100 today, you want it to be worth $100 tomorrow. You want to use iota, but you don’t want to speculate on the price. The other party can be a margin trader going long on IOTA doing the trade with you for free. Or it can be an institution that actually market trades the majority of iota funds to fiat on an exchange to hedge against the volatility and only keeps a margin in iotas as reserve for the smart contracts to settle. The smart contract will guarantee that you can withdraw your balance at any time from their iota reserves without asking for their permission. But you want it to be a regulated institution to make sure they will indeed keep refilling those reserves before they are empty. Because they have to pay for market trades, a service like this will likely require a negligible fee (which is more than fair considering all the advantages of holding a stable cryptocurrency). Negligible because: If this option provider has a lot of customers opening/closing options each day, the majority of these trades will cancel out each other. And only rarely if there actually happens to be a bigger difference at the end of the day (too much or not enough funds in the reserve), the provider has to do a single market trade (iota → fiat or fiat → iota) to get it back in order. Bundling those options is far cheaper and more efficient than if each of the customers was doing individual market trades by themselves multiple times a day whenever they want to convert between iota and fiat. Volatility is probably the main reason stopping real world adoption of cryptocurrencies as of now and Qubic seems to deliver a very smoothly and efficiently working solution. That’s what the IOTA Foundation might have had in mind when they were talking about an iota2fiat gateway. Customer Satisfaction: Because of massively increased convenience and new possibilities for the account owners. Competition: Why should anyone use your archaic banking system where you have to wait days for transactions to complete while the other bank down the street offers feeless bank transfers where you can send money around the globe in seconds without having to trust them that they don’t lock up your account? Network Effect: In a world where the globally growing qubic banking system turns into a standard, your bank will have to integrate the new technology itself in order to exchange funds with other banks. Efficiency: The bank will save a lot of resources because all those individual (micro)transactions will be automatically handled on the tangle by smart contracts. They will only have to look for their reserves. And even if you happen to not care about banks, think about this: With the growing adoption of the protocol in this sector, billions of dollars margin trading balances and bank reserves could be injected into iota, increasing the market cap by a multiple of that (for every $1 put into the market, the market cap will increase by something like $25). And if you are not jumping around in excitement right now, you probably haven’t bought enough iotas yet. All of this is speculation, we will have to wait until the IOTA Foundation releases more information about Qubic. However, so far my idea goes pretty well together with statements by the IOTA founders like CFB saying that Q will dominate over the financial world.